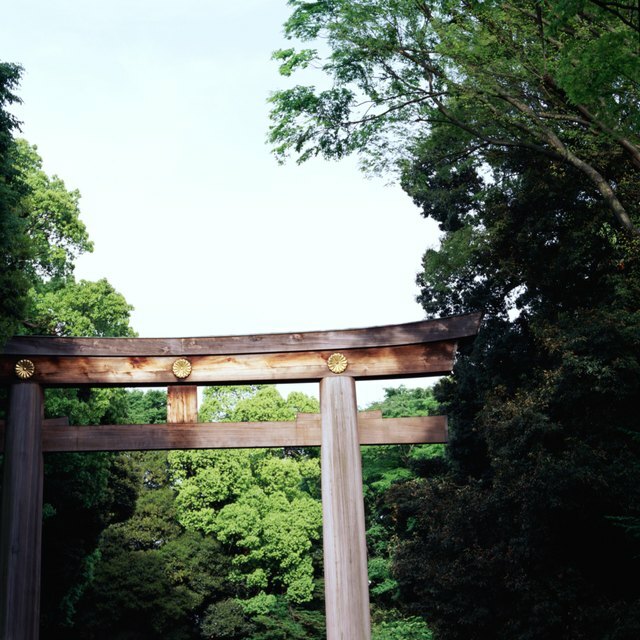 Shinto and Zen are religions that have become in part synonymous with Japan. Due to that close association, they occasionally become conflated. A closer look, however, reveals both some key differences and a shared heritage. 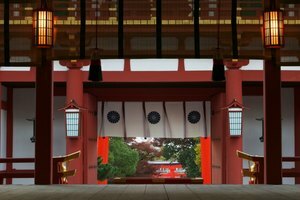 Shinto and Zen are two of the most popular religions in their native Japan, and have become a growing presence in many other parts of the world. Like all belief systems, they evolved in a specific cultural and historical context which shaped their characters and their directions. Their stories thus become the stories of the people of Japan and the history of that nation. 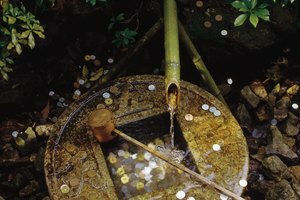 The indigenous spiritual system of Japan, “Shinto” can be translated as “The Way of the Gods," and it may also be referred to as kami-no-michi. Its focus is the kami, the spirits or deities that inhabit the natural world. These are venerated at any of the 80,000 Shinto shrines throughout Japan. There, believers take part in the purification rites which atone for wrong deeds and establish spiritual balance, create or purchase protective or benedictive talismans or take part in public worship or prayer. The faith dates back to the earliest history of Japan, drawing heavily on the shamanic beliefs of the people in the region at that time. Gradually codified over the period from 300 BCE to 400 CE, Shinto incorporated outside influences while still retaining a strong indigenous flavor. 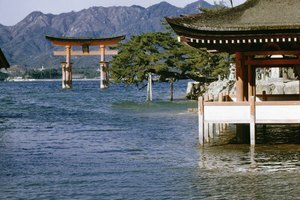 An active link to Japan’s past, Shinto is practiced by around 80 percent of the population – though individual beliefs and regularity of observance vary. Before it became a cultural buzzword, Zen originated among Chinese Buddhists, where it was known as Chán. 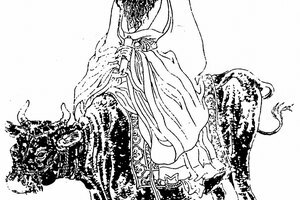 An outgrowth of the Mahayana sect of Buddhism, it follows a fairly orthodox Buddhist system, focused on the Four Noble Truths and the Noble Eightfold path as a means of attaining enlightenment and escape from samsara, or the cycle of life/death/rebirth that defines human existence and human suffering. 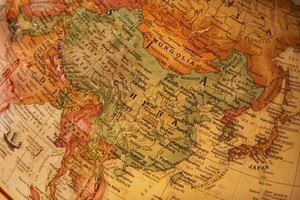 Following six centuries of development in China, Zen first appeared in Japan in the 12th century CE. While other sects of Buddhism emphasize knowledge of Buddhist scripture – the sutras – or ritual doctrine, Zen takes a more bare bones approach. It focuses on the attainment of enlightenment through direct insight into Buddhist teachings via an experiential approach. Followers practice zazen, or the discipline of seated meditation, and work closely with experienced teachers in order gain insight as they move toward enlightenment. Both faiths are strongly associated with Japan, and for good reason. They are an important part of the daily lives of millions of Japanese people, and inform the cultural practices of even those who are nonobservant. Their histories in that nation differ, however. Shinto is profoundly rooted in Japan, tracing its origins to the very beginning of human life on those islands. A key part of Imperial custom, it is an unbroken chain woven through the story of a nation. Zen, by contrast is a relative latecomer and a product of outside influence and Japanese interaction with a world beyond the home islands. Their origins shaped their character; Shinto is traditional, communal and ritualistic, while Zen is relatively simplified and individual in focus. A comparison between them goes beyond the spiritual and illuminates the development of Japan’s culture. H., Michael. "Zen Vs. Shinto." 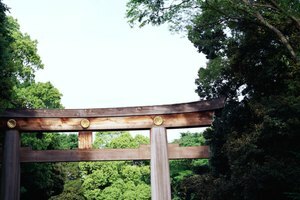 Synonym, https://classroom.synonym.com/zen-vs-shinto-12084994.html. 29 September 2017.